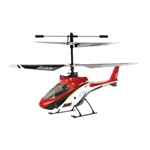 Like the original Blade® mCX, the Blade mCX2 is easy enough for anyone to fly and small enough to fly just about anywhere. The mCX2 has the same coaxial, counter-rotating rotor head design as the current mCX, but it adds an extra shot of excitement with user-selectable swash sensitivity and flashing LED lights that are built right into the body. 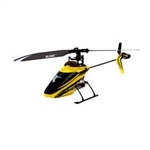 The pilot can change the control settings to enable this heli to perform at higher speeds than the beginner settings. 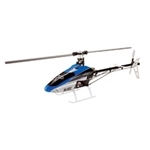 This helicopter also boasts heading lock-like performance for maximum control. It also boasts more powerful motors and a higher capacity 120mAh battery pack. The mCX2 is the ultimate beginner-friendly machine with unsurpassed stability, incredible control and extreme durability. With a factory-installed 5-in-1 control unit with Spektrum™ 2.4GHz DSM2®-compatible receiver, main motor ESCs, mixer, gyro and fully-proportional servos come pre-installed. This Bind-N-Fly® version without transmitter is perfect for those who already own a DSM2 aircraft transmitter. 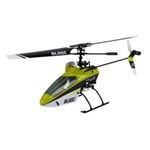 The Blade mCX2 ultra micro size and weight make it possible to fly this heli anywhere indoors. Aircraft transmitter equipped with Spektrum™ DSM2® technology.